This week, one of my readers commented on my review of Remembrance of the Past that it seemed as though everybody else had read a book except for her, and that was pretty much what I felt until late last year, but it wasn’t towards a book, it was towards a writer. Of course I didn’t stop at Sketching Mr. Darcy and recently read and reviewed Remembrance of the Past, her second book. Lory Lilian knew I was unaware of her books until last year, so today she visits From Pemberley to Milton with a guest post which will explain me, and my readers, her journey into the JAFF world. She also brings a generous giveaway of 2 of her books at readers’ choice. Rita, thank you so much for your invitation. It is my first visit to “From Pemberley to Milton” and I am very excited about it. And thank you for the lovely review of Remembrance of the Past! I gave it a lot of thinking to what I could possibly put in this post. I have been for so long in JAFF, and I spoke with so many people, either directly or through guest posts and interviews, that I wonder what else would be interesting for your lovely readers. I feel people already had enough of me LOL. 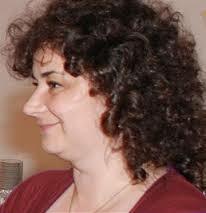 So brief introduction – I am 48, Romanian, and have been in love with Pride and Prejudice since I was 13. As I said before, everything related to Pride and Prejudice and Darcy and Elizabeth is my hobby and my passion. However, I never imagined my passion would come out in published form, nor that one day I will try to make a living from writing. I still am surprised, flattered, and grateful to see so many people interested in buying my books. An aspect of Jane’s genius is that she said (wrote) little but suggested so much about the hidden part of Darcy and Elizabeth’s relationship, and allowed the reader’s imagination to work and to explore it. I always felt that I would like to know more details – and I always tried to imagine them. Of course, back then I thought I was completely nuts, and I avoided talking to anyone about that obsession. In 1996, after I saw the miniseries, my imagination turned wild –and my worry about my sanity increased LOL. And then, in 2004, I discovered the fanfiction world, and I realized there were hundreds of thousands of people sharing the same “craziness”. I was hooked, and my life changed forever. After reading countless JAFF stories online and many, many sleepless nights, in January 2005 I started to write Rainy Days and post it at “Derbyshire Writers Guild”. Just imagine a Romanian, who only used English for pleasure or for business communication, writing in Regency English. lol I was absolutely frightened. And then – boom !!! Rainy Days was more successful that I could ever imagine! I wrote 390 pages in only three months! The first version was PG 13, then later that year, I “enhanced” it to N 17 and I posted it at “Hyacinth Garden”. The reactions exceeded all my expectations. Until today, people still love this story, still send me messages about it and still wait for the sequel (which, hopefully, will be out in a couple of weeks – finally). Remembrance of the Past was my second book, and it is an entirely different type. It introduced a new character– Lady Cassandra; half of the readers loved her from the beginning while the other half hated her. It was a character that brought me great satisfaction while writing it, and the readers’ responses to it proved to me that she had captured everybody’s attention in one way or another. Then it came His Uncle’s favorite, The Perfect Match and Sketching Mr. Darcy. It was always my primary concern to put in each of my books something that had not been done before in JAFF. Something to catch the readers’ attention, to make them remember it. In Rainy Days I had the cottage, Lady Matlock, and little Becky; in Remembrance of the Past – Lady Cassandra and Lady Catherine’s confrontation with Mr. Bennet; in His Uncle’s Favourite – Lord Matlock and Lady Sinclair – who tried to insinuate herself into Darcy’s bed, and ending up sleeping with his valet; and in Sketching Mr. Darcy it was Annabelle, the conclusion of Wickham – Lydia story, the two young children of a servant, and Lady Catherine’s involvement. I hope my endeavor was not unsuccessful, and I am so happy every time a reader appreciates these original elements. I only wrote four long books and a short one in more than ten years, because I always had time- consuming, demanding jobs. Hopefully, this will change; this year I made the scariest change in my life: I decided to put the primary focus on writing, and only work part time on other projects. Wish me luck with this – I will certainly need it! As I mentioned before Lory Lilian was kind enough to bring 2 e-books to giveaway at From Pemberley to Milton. The giveaway is international and to participate all you have to do is leave a comment on this post. Let us know which of her books you find more appealing and why, or just share your support for Lory’s new challenge. The giveaway is open until the 27th of March and the lucky winners will be randomly picked, and contacted afterwards to let us know which of Lory’s books they will want to receive. Lory Lilian is one of my favorite authors. I am so grateful that you are now writing full time and can’t wait for the sequel of Rainy Days! Thanks for the great post, Lory Lilian and Rita, such a lovely read! Lory Lilian has been one of my favourite authors for a very long time, Rita, and now that you’ve discovered her books too, you must know why. Please don’t enter me in the giveaway, I have all of Lory’s books and love them. I still struggle to pick a favourite, but Rainy Days and Sketching Mr D are top contenders. Just wanted to pop by to congratulate you, Lory on the great decision. Wonderful news, and the very best of luck!! Hi Rita and Lory. I’ve just finished reading Rainy Days for the first time. I really enjoyed it and will be posting a review soon on Goodreads and Amazon. Such good news to know that a sequel is in the offing. Not exactly sure when the RD review will be posted (but it will be in the next couple of weeks) as there’s a lot happening at home right now. I also loved Remembrance of the Past last year and I’m in the “Team Lady Cassandra” camp. His Uncle’s Favourite and Sketching Mr. Darcy are both on my TBR list dor Sophia Rose’s Goodreads TBR challenge. The only Lory work missing from my JAFF collection is The Perfect Match, so that would be my choice if I’m lucky in the giveaway. Congratulations on making such a brave decision regarding your working life. If it results in more wonderful books, then you know there are so many of us out there who will be eternally grateful. 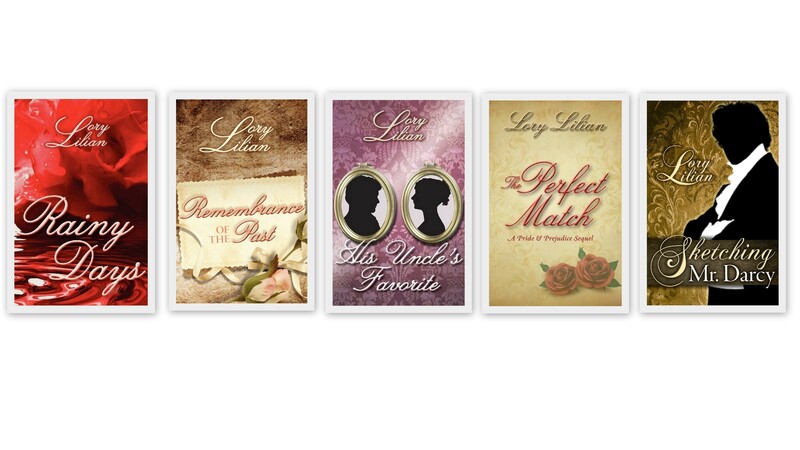 I have had the supreme pleasure of reading four of the five books written by Lory,and I must admit that I loved them all! My favourite,if I have to choose one is probably Sketching.There’s just something very special about the writing and I was hooked from the first page on!! Lory,I commend you for taking this big step and opting to write full time. In my humble opinion,if your future books are written in the same vein as your former ones,then the world of JAFF will be enriched and enraptured by your literary gems! I wish you every success! Thanks for the lovely interview. I have read your stories and enjoyed them all. How exciting that there will be a sequel to “Rainy Days”! Do you have a title for it yet? Thank you for the giveaway opportunity! I have never read any of Lory’s books too but have been hearing a lot about Sketching Mr Darcy these past months and am intrigued by the plot. I’d also love to try Remembrance of the Past. You are indeed very brave to take such a step in becoming a full time writer! I wish you every joy and success. Thanks for the chance to win another of her novels! That was also something that amazed me Pam. Lory’ writing is so good and flawless I would never say she was not from an English speaking country! Good luck in the giveaway! Do I really have to choose one? they all sound interesting! Only just discovered this author through GoodReads. Can’t believe I haven’t come across her before. I see she has lots of fans so I’d love to try one of her books. I haven’t read Sketching Mr Darcy or His Uncle’s Favorite yet but I’m confident I’ll love them, as well. Every time I read a new comment I feel even more compelled Rainy Days! Thanks for stopping by Glynis! I’ve read all, but one of her stories. I was always struck by the warmth and romance and I liked the blend of Austen’s characters and stories with Lory’s own original ones. Congrats and best wishes on going into writing full time, Lory! Pick a favorite? Not sure I can. But I do know that the release of a book by you means an automatic purchase by me. If I’m a winner, I’ll have to decide. In the meantime, as I prep for knee replacement, Rainy Days will be in my entertainment stack, ready to re-read just before I begin the sequel. Thank you, Lory, for the pleasure you have given me over the years. How exciting! I cannot pick a favorite, I loved all your books. Looking forward to the next book. I’ve only read two of Ms. Lillian’s books, and I really enjoyed ‘Sketching Mr. Darcy.’ Loved the thread throughout the book and how it played out. Look forward to reading more of her books. I have read each of Lory Lilian’s books and enjoyed them immensely. My favorite is Remembrance of the Past. Please do not enter me in the give away as I already have each one as an ebook. I’ve only read one of Lory’s books so far, but I definitely want to read more. All the best with spending more time writing, Lory! I know Lory from THEN COMES WINTER and haven’t read her other books. I’ve read 3 out of the 5 so far and really enjoyed them. I’m looking forward to reading the other two as well as any you write in the future! Thanks for the giveaway opportunity. Well, I’m at least half way through Rainy Days in anticipation of the sequel, Lory. It’s amazing how much reading time I’ve been enjoying as I wait for medical appointments in anticipation of my knee replacement, as well as now, by broken wrist. My favourite is Remembrance of the Past, and I have read it multiple times along with Rainy Days. I only own Sketching His Character, though (It’s still on my TBR list too. I just have been swamped lately). I like all of her stories that I have read, but my favorite is Rainy Days. I have Rainy Days on my kindle and must go re-read – it’s been too long! Thanks for the news of the sequel!